The MCC music department offers a variety of music courses: music surveys, music theory, music technology, sound recording, music business, and applied classes in voice, piano, guitar and percussion. There are also independent study opportunities for more experienced music students. We encourage students of all different levels to perform in the student recitals at the college, and we have student ensembles, such as the MCC Chorus and the MCC Guitar Ensemble, where you can meet and work with other student performers. 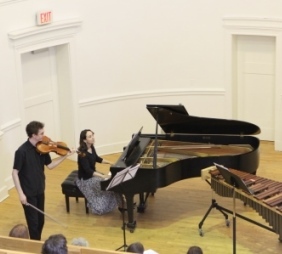 The music department runs the MCC Music Outreach Program in Lowell, and sponsors A World of Music Concert Series where music faculty, guest artists, including members of the Boston Symphony Orchestra, and students are featured. 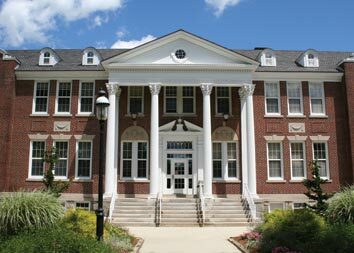 Middlesex Community College offers two associate degrees with music options. 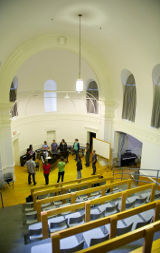 The Liberal Arts and Science, Fine and Performing Arts Music Option requires a combination of liberal arts and music courses. The Liberal Studies, Performing Arts Music Option requires more specific music courses. Both degrees serve as a stepping stone to a four year institution. Music students from MCC have been accepted to New England Conservatory, Berklee College of Music, U Mass Lowell, Gordon College, Keene State College in New Hampshire and McNally Smith College of Music in St. Paul, Minnesota. Whether you are new to music and taking your first voice class or an advanced performer thinking of applying to music school in the future, the music department at Middlesex can help you on your way.